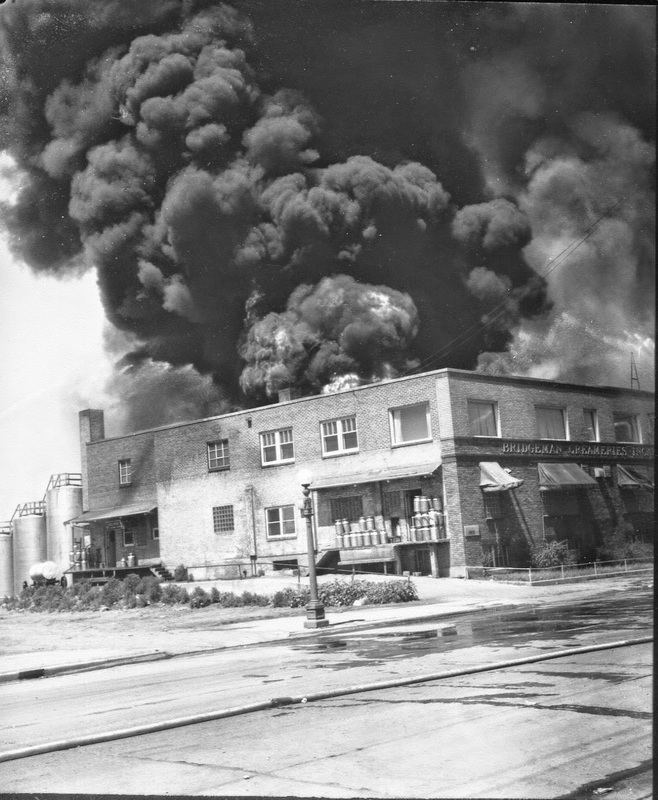 Buildings were destroyed in the explosion and fire at the Westland Oil Company in February, 1947 that house five businesses. 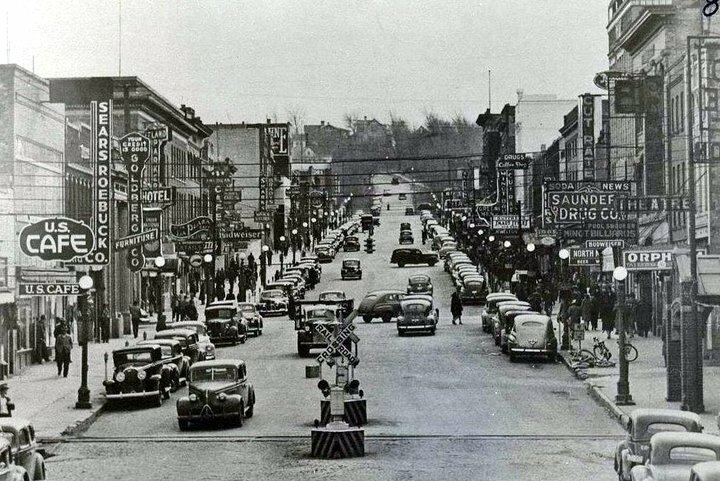 Those buildings were home to Mandan Creamery and Produce Company, Westland Oil Company Service and Bulk Station, Riverside Café, Minot Farmers Co-operative Grain Association and Tavern and Becwar and Cedarstrom Texaco Company. Also businesses extensively damaged were Bridgeman Creamery, Monagin Power Equipment, Farmers Union Co-op store and Lowe’s Grocery…. I was very young but remember this fire. We lived on 1st Avenue N.E. 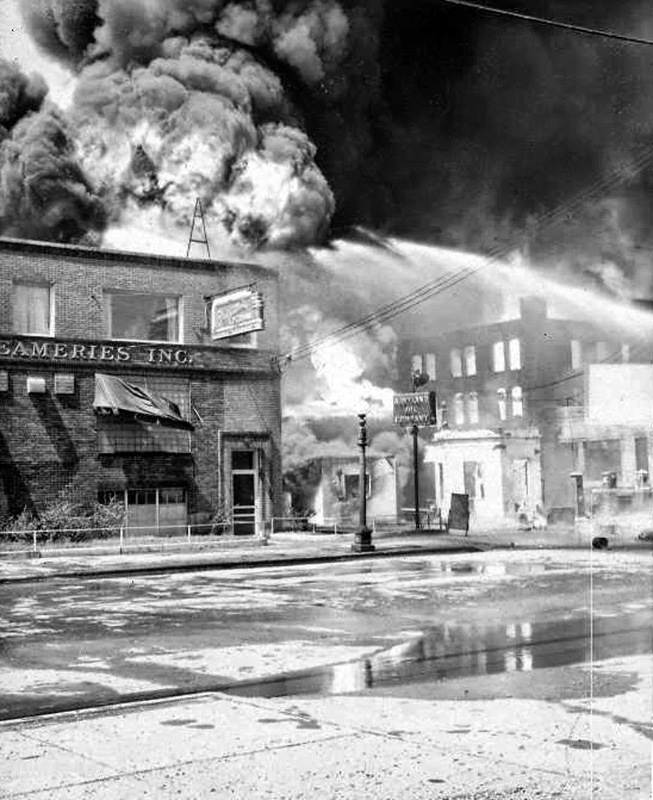 just down the street from the fire and I remember the huge red glow of the fire. Not too sure but I think we were told to evacuate because of the explosions.